A few days ago a nice customer ordered these items from me and I realized she did a great job with the ensemble! The colors are perfect plus the dress itself will stand out! 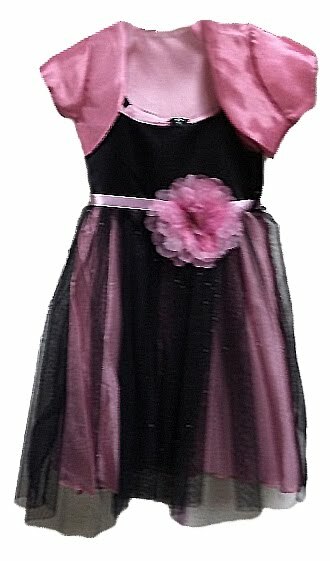 The dress here is Girl's Satin Bodice with Tulle Skirt Ballerina Dress in Black and Pink and paired it with a nice Mauve Bolero. And guess what this ensemble is just under $50! *clap clap clap* to a very stylish customer!